We rarely think of the role we want to play in our own healthcare until we find ourselves injured or in crisis – when in fact, we have a critical role to play as a partner in healthcare1. It can be particularly challenging when tasked with such a responsibility as you try to navigate the system and services while dealing with the physical and emotional stresses of illness and injury. Therefore, let’s take time to reflect on how to be an effective patient partner. As providers, we can always improve our efforts in engaging and supporting patients as partners in decision making. There has been improvement within patient involvement in quality improvement measures, but there is still work to be done. True patient engagement is at its best when patients, families and caregivers have input in decisions, communication, processes and improvement of care and environment. The push to improve the quality of care has carved out a very powerful role for patients to play in their own care – and to direct it. As a partner, the patient shifts from a passive recipient of care to an active participant. That shift in role and power can have a meaningful impact to empower patients to take positive steps to improve their health and wellbeing. Studies have shown that communication is one of the most important contributors and barriers to patient engagement2. Patients want healthcare professionals to take the time to listen to them. There is no doubt that communication is a two-way street, but learning how to best communicate with your healthcare team could help enhance communication. 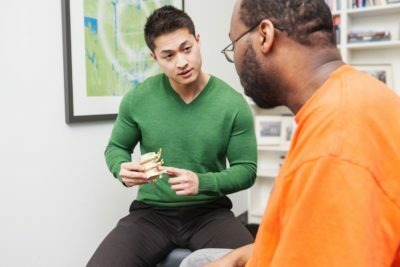 Providers must also be aware that patients may not feel comfortable communicating or simply do not know the best way to communicate concerns. Often, patients may not want to admit that they do not understand the information provided and may leave confused and misunderstood. However, patients should feel empowered by the responsibility they carry in taking charge of their own health and improving effectiveness of services provided. What role do you want to play in your healthcare decisions? Who will you include as part of your healthcare team? Will you include family members or friends in your decision making process as well? What is the best way to communicate with your healthcare team? What strategies can you use to prepare yourself before meeting with a healthcare provider? Considering the importance of communication, there is value in preparing to meet with your provider. Write down all your questions leading up to the visit. You may even consider bringing a friend or family member to help you communicate or act as support. Being ready not only save you time, but may also help your healthcare team provide more focused and tailored information. How patients and providers interact has changed significantly for the better. We are now evolving to a model where we can make informed decisions to help improve health and meet the goals of the patient together. Learn more about your rights as a patient at Patients Canada https://www.patientscanada.ca/. 1Patients Canada (2016). Patient Destiny Report: Their experiences and perspectives.